On the 5th of January 2017, Our Youth and Sports Minister Mr.Akif Çağatay Kılıç, greeted our association’s and Turkey’s National Paralympic Committee Association’s chairman A. Yavuz Kocaömer in his office on January 5, 2017. From 23 to 25 February 2017, Special Sportsman Table Tennis 1st Division Championship (Marmara, Black Sea, Eastern Anatolia) which is in Turkey Special Athletes Sports Federation’s 2017 program of activities was jointly conducted with the support of our foundation. From 26 to 28 February 2017, the 2nd District Championship (Mediterranean, Aegean, Central Anatolia, Southeastern Anatolia) and between 13 and 15th of March, Turkey Championship were held in Limra Limak Hotel situated in Kemer, Antalya. Approximately 1,000 athletes and coaches from 260 clubs attended the championship. Competitions played in the categories of 8-11, 12-15, 16-21 and 22+. And they were made in the disciplines of autism, mental and down syndrome. On the 24th of February 2017, at 15:00, our President A. Yavuz Kocaömer has been a guest of "Sporsever" program presented by Ahmet Çakır in Sports Tv. Whilst answering the questions of Ahmet Çakır, our president talked about the development and problems of disabled athletes in Turkey. On the 28th of February 2017, Turkey`s National Paralympic Committee Association and our Foundation’s Chairman Yavuz Kocaömer attended the "Sports: Equal, fair and for everyone!" Panel under the title of "Disabled Athletes Management and Paralympics in Turkey” in “Ataşehir Municipality Mustafa Saffet Cultural Center”, where Arif Kızılyalın moderated the discussion. Our Board of Trustees and Board Member of the Turkey Paralympic Committee Board of Justice Member Adv. Mert Yaşar made a presentation under the title of "Constitution and Sports Court" in the same panel. President A. Yavuz Kocaömer also responded to questions about being disabled in turkey and in the world and the Paralympic Games. On the 22nd of March 2017, With the partnership of Gillette and Milliyet, the longest sports prize Gillette - National Athlete of the Year Awards was held for the 63rd time and the award ceremony was carried out at the Zorlu Center Performing Arts Center on March 22, 2017. On the night where the best of 2016 was awarded, the Athlete of the Year, the Coach of the Year, the Sportsman of the Year, Football Player of the Year and the Paralympic Sportsman of the Year are announced. The honorary awards were given to important figures who have shed light on sportsmen, sports fans, and journalists for many years. These prizes were again selected by a jury composed of prominent names in the sports and media world. Turkey’s National Paralympic Committee Association’s and our chairman A. Yavuz Kocaömer was awarded the Namık Sevik Special Prize. Between the 23rd and 25th of March 2017 We organized the seventh chess tournament in the honor of one of our foundation’s founder members Osman Şahin; who had passed away on 20 September 2001, who made a great contribution to the development of chess. Our chess tournament was held with the participation of 103 athletes who have participated and held the national force degree in the national championship. On the 28th of March, 2017, in accordance with the Official Foundation Regulations, the obligatory TESYEV Ordinary Board of Trustees Meeting was held in Mercure Hotel – Omega. During the 26th meeting of the Board of Trustees, current issues were discussed and solved. In order to improve the realization of the aims and activities of our Foundation, Ali Ozan Açıkalın, Adv. Mert Yaşar and Tourismman Ibrahim Halil Korkmaz were accepted as members of the Board of Trustees. On the 25th of April 2017 President Yavuz Kocaömer answered Ataşehir Express’ journalist Simay Gözeren’questions about disability, Paralympic and being a disabled person in Turkey. From the 4th to the 6th of May 2017, our foundation who supports disabled students from all around Turkey it held its 12th Scholars Meeting on 6th of May, at The Green Park Pendik Hotel & Convention Center. In addition to our founder A.Yavuz Kocaömer and our General Manager Berrin Altınöz, TESYEV Board of Trustees members Ali Evren Doğru and artist Saadet Işıl Aksoy attended the meeting as speakers which was attended by approximately 400 of our scholars. The questions of our scholars were also answered sincerely, while the speakers shared their own stories. After the meeting, TESYEV volunteer Diamond Media & Organization prepared a night for the scholars that they could not forget for a long time. While they were having fun listening to Altar’s songs, dancing to Duhan Gürel’s DJ performance, watching Metin Yıldız’s sketches and Caner Bulut’s stories; at the end of the night our General Manager Berrin Altınöz presented plaques to all the artist and to Diamond Media & Organization for their contributions to the night. On the 12th of May 2017 with the support of the Kütahya Governorship Guidance and Research Center and the Kütahya Municipality City Council, the 2nd Children`s Festival was organized by the Student Communities of the Dumlupınar University Directorate of Health, Culture and Sports. At the opening ceremony, a plaque was presented to Berrin Altınöz, the General Manager of our Foundation for her contributions for a life without disabilities. On the 27th of May 2017 “The Story of the Stones” which is our Board Member R.Engin Akış’s daughter Elif Akış’s Mosaic Exhibition was held in Kadikoy. The income generated from the exhibit, visited by our general manager Berrin Altınöz and TESYEV employees, was donated to our Foundation by Elif Akış. On June 5, 2017, the Quality Award Ceremony was held by Quality of Magazine and our Foundation was awarded the "Best Quality Foundation" award. Our Chairman of the Board, A.Yavuz Kocaömer was presented with a plaque. On the 9th of October 2017, on the occasion of the Celebration Night for the 100th Issue, where our Chairman of the Board of Directors was present, 7 precious paintings made by Semra Keçeci were exhibited and donation of the income to our foundation was provided. In addition, our Chairman A.Yavuz Kocaömer, who took part in an interview for the magazine’s June 2017 issue, answered questions from E. Berna Tuna Fenemen. On June 7, 2017, our Chairman A.Yavuz Kocaömer was a guest at the "Taste of Ramadan" program hosted by Şeyda Gümüş, broadcasted live on Olay TV on, June 7, 2017, at 16:15. Our president who answered Seyda Gümüş’s questions about being disabled in Turkey, current information about the development and problems of disabled athletes in Turkey and all around the world. On the 7th of June 7, 2017, Yeşim Textile Ind. and Expo, Inc. who is always there for disabled persons and our Foundation with the aid they provide, welcomed our President A.Yavuz Kocaömer on Wednesday 7th June 2017 in Bursa. During the discourse that was co-organized by Yeşim Textile Sports Club and the Environment and Social Responsibility Club, our president A. Yavuz Kocaömer, shared the details of the struggle of disabled citizens for many years. Our president talked about how he was inspired to fight for disabled people from his brother. He explained his process of working for disabled citizens, the help TESYEV provides regarding the topics of sport,education, and health, and stressed the lack of social awareness in Turkey. Our Chairman of the Board, A.Yavuz Kocaömer was presented with a plaque after answering the questions of participants. On Saturday, July 1st , 2017, 150 disabled children who received scholarships and rehabilitation aid from our foundation, and their families were brought together at the 9th morale picnic held at Tarabya TED Ankara College Association - Torch Tarabya Facilities. About 400 people attended the picnic, including our children, their families and invited guests. Our foundation’s members of the Board of Directors were present alongside TESYEV volunteers and our children had a lot of fun with animators and various shows. On September 23, 2017, our Chairman A.Yavuz Kocaömer was a guest of Fulin Arıkan Aksu`s "Life-Like" program in TRT News on Saturday where he expressed the discomforts of the disabled. On the 24th of October 2017, our Chairman of the Board A. Yavuz Kocaömer Habertürk was a guest at Habertürk TV’s “Teke Tek” alongside Murat Emrak and Ferit Gümüş, players of the Wheelchair Basketball National Team. He shared his knowledge about disabled sports. On December 12, 2017, with Turkish National Paralympic Committee Association and our Foundation’s collaboration, a group of refugees inclusion to International Disabled Youth Camp that will be held in 2018. In correlation to this decision, we went to the Malatya Beydagi Temporary Welfare Center and examined our disabled children between the ages of 10 and 15, and they were tested for talent with the support of the Malatya Inonu University Sports Sciences Faculty. 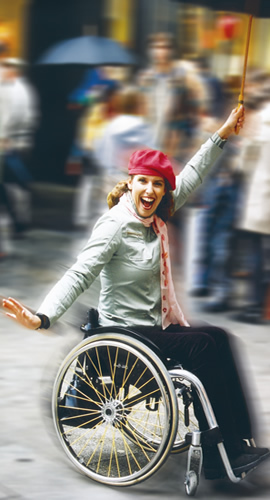 We helped people with disabilities in need in accordance with their needs. Wreath acceptances your happy and sad days are ongoing. Our Chairman, A.Yavuz Kocaömer, continues to write every Monday on Posta Newspaper "Çenekli İğne" corner, every Sunday on the Sports section of Milliyet Newspaper, with the hopes of supporting the disabled.